The Vancouver Aquarium said Daisy, a harbour porpoise rescued in 2008, died Thursday surrounded by aquarium staff. Preliminary necropsy results show she had pulmonary disease. Daisy was only a month old when it was rescued by the aquarium in 2008. The Vancouver Aquarium is mourning the loss of a rescued harbour porpoise. Daisy died Thursday, according to the aquarium. On Friday, they said preliminary necropsy results show she had pulmonary disease. In a blog post, the aquarium said its veterinary team noticed a change in the animal's behaviour and health earlier this month, which led to around-the-clock care. 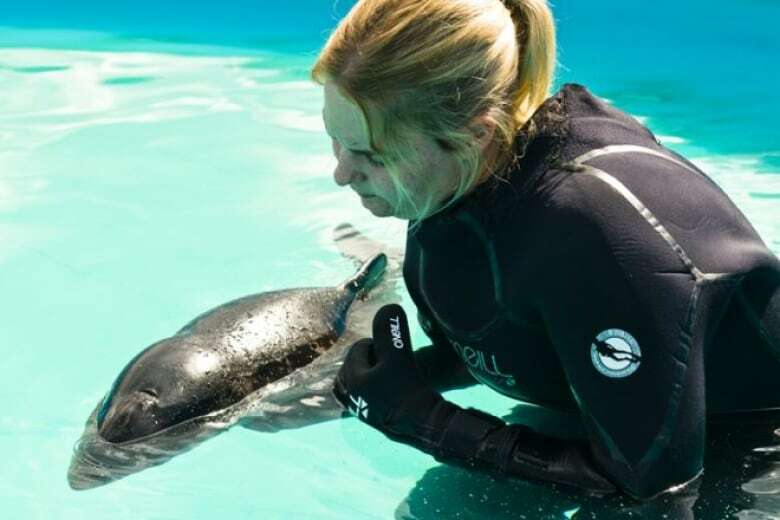 The animal was only a month old when it was rescued by the aquarium's Marine Mammal Rescue service on August 26, 2008. 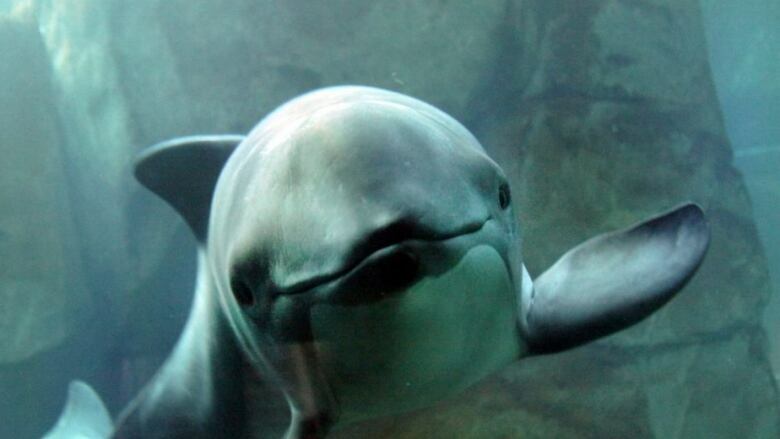 The aquarium said the porpoise died surrounded by aquarium staff, some of whom were on the original rescue team. "Daisy helped change the way the scientific community approaches the rescue and care of harbour porpoises and other cetaceans in distress," said Vancouver Aquarium head veterinarian Dr. Martin Haulena, in a statement. "In her shy, gentle way, Daisy captivated the hearts of so many people … mine included." The aquarium confirmed Daisy was kept in the same tank as now-dead belugas Quila and Aurora for about six months before they died in November 2016. The aquarium has concluded Quila and Arora died of an unknown toxin. Haulena says Daisy's necropsy results were much different, so he doesn't believe there's a connection between all three deaths. Earlier Thursday, the aquarium launched a legal challenge to overturn the Vancouver Park Board's recent ban on cetaceans. Chester the false killer whale and Helen the Pacific white-sided dolphin are the aquarium's last remaining cetaceans.